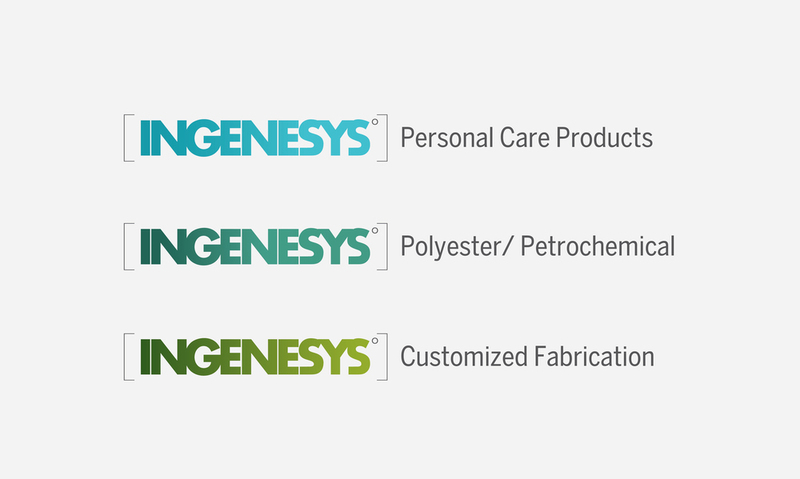 To create a brand identity for a company that dealt in high-purity pharma + oil and gas, so that there can be a business distinction through brand architecture. 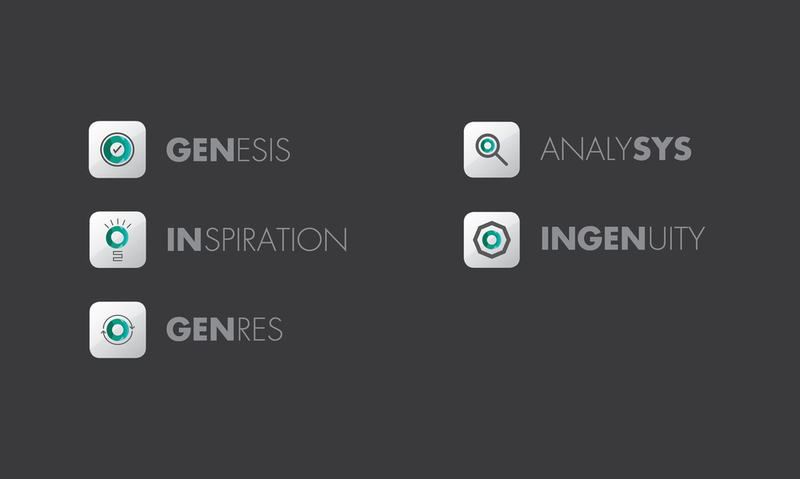 The word Ingenesys comes from the combination of ingenuity, genes and systems. 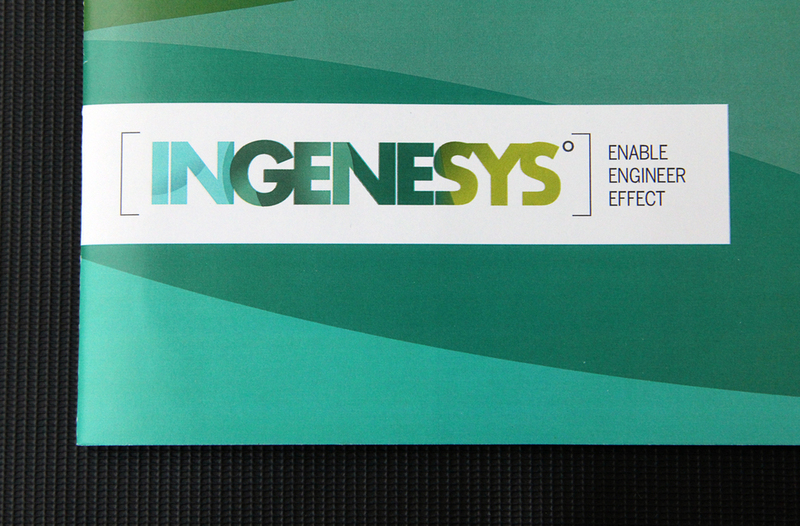 This flexible name was used further in the brand extensions to leverage the expertise of the company, and push forward the pharma business, while the oil & gas business was segmented as a separate sub-division. 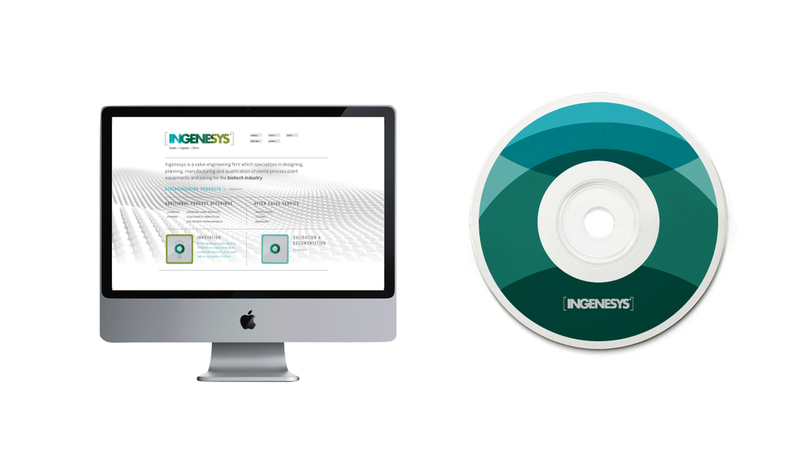 Ingenesys is positioned as a high-purity player in the pharma industry, to gain credibility to manufacture pharmaceutical equipment.